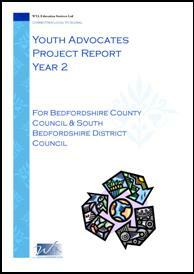 This two-year project builds upon the success of Youth Action on Waste, which ran in Bedfordshire in 2002, in which a team of young people from the Children�s Rights Unit at Bedfordshire County Council undertook a project to identify what action was needed to encourage people to recycle. 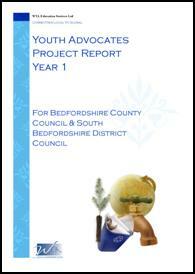 This group represented young people who do not normally get involved in environmental projects. 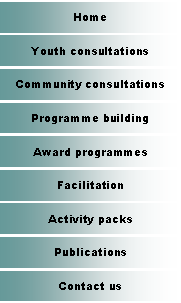 Their work during 2002 was unique and had an impact when presented to county councillors and council workers, because their surveys did not agree with those produced by official workers; their survey results indicated that their action were more effective and imaginative than �official� ideas and this lead to a grant being given to help to implement them. 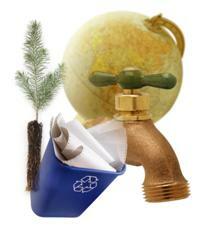 � Work with adults to explain the needs of the environment, with a particular focus on waste. 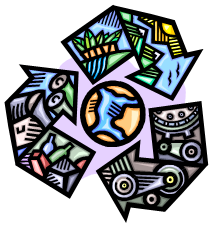 � Work as advocates to identify the barriers to waste and recycling among their peer group. � Increase awareness amongst their peers. 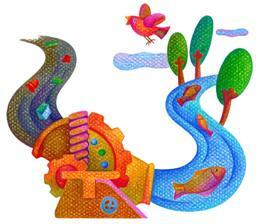 � Present their opinions and ideas to the council and relevant council workers. � Evaluate the adults� performance and identify what opportunities and barriers exist to getting young peoples� opinions. � Identify and help develop a training programme designed to develop the skills needed to present a case to Bedfordshire County Council on a specific issue.